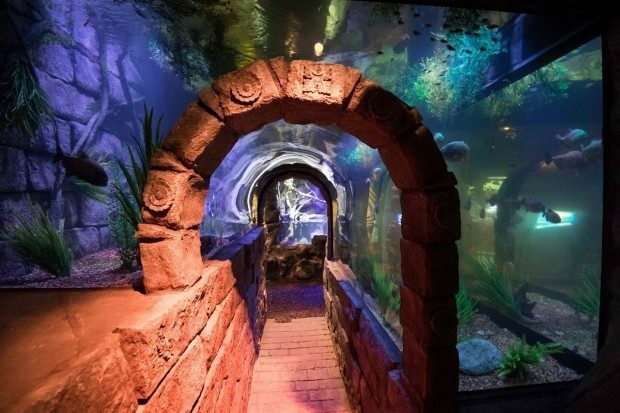 SEA LIFE Grapevine Aquarium's New Rain Forest Adventure! 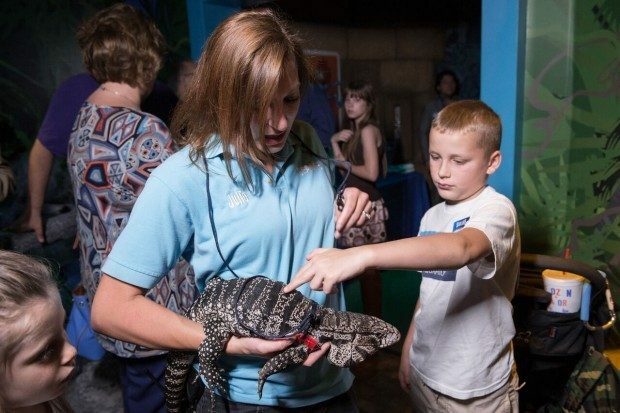 You are here: Home / Dallas/Fort Worth Events / SEA LIFE Grapevine Aquarium’s New Rain Forest Adventure! 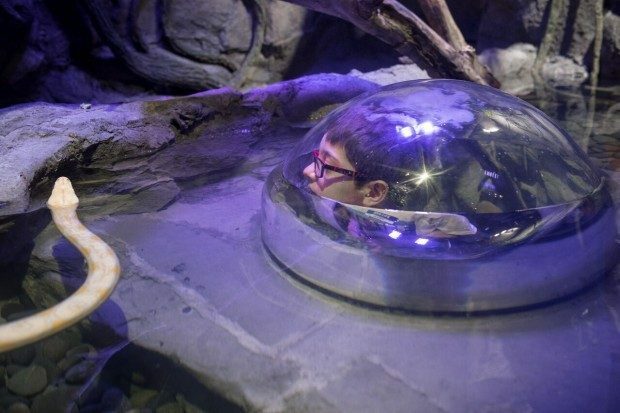 SEA LIFE Grapevine Aquarium’s New Rain Forest Adventure! We love SEA LIFE Grapevine Aquarium! I grew up in Florida and I so miss all of the water and swamp creatures. Some of my favorite memories are field trips to the alligator farm or the national parks that taught about snakes and other reptiles. I love the ocean and the beach, I miss all of that so much, it is so calming when I get to visit. So, SEA LIFE Grapevine Aquarium is a place I love to visit to see all of the water creatures, it reminds me of home. It’s a great place to go in any weather, it’s all indoor and heated and cooled, so no worries about heat or cold or rain – you can go anytime and have a great day! The kids learn a ton and really enjoy being able to see the sea life from all angles. You can stand over tanks and look in, they have “bubbles” where you can poke your head right up in to where you can get a closer look, they have a tube you can walk through where you are surrounded by sharks, turtles, sting rays, all manner of sea life below your feet, above your head all around you, it’s just a fun place to visit! They also have areas dedicated to animals. There is an interactive area wher you can learn more about sharks, there is a hands on area where the employees let you touch the creatures and teach you about them. They have rescue areas and a place where they can treat injured sea life, it’s just a great time and very entertaining as well as educational. 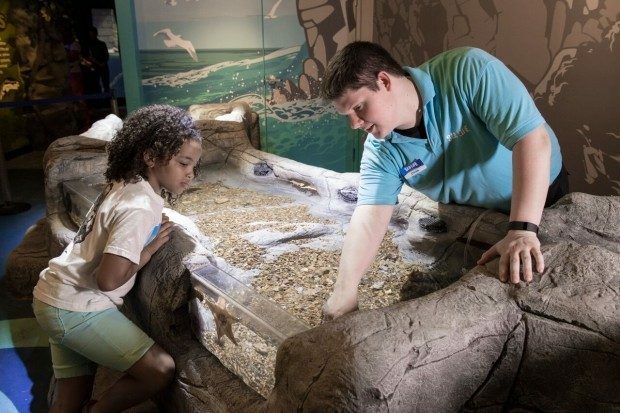 The entire staff is very helpful and informative, they are all very readily available to answer questions or assist you as you roam thru the aquarium. They have added a new Rain Forest Adventure, too and we got to check that out last week! 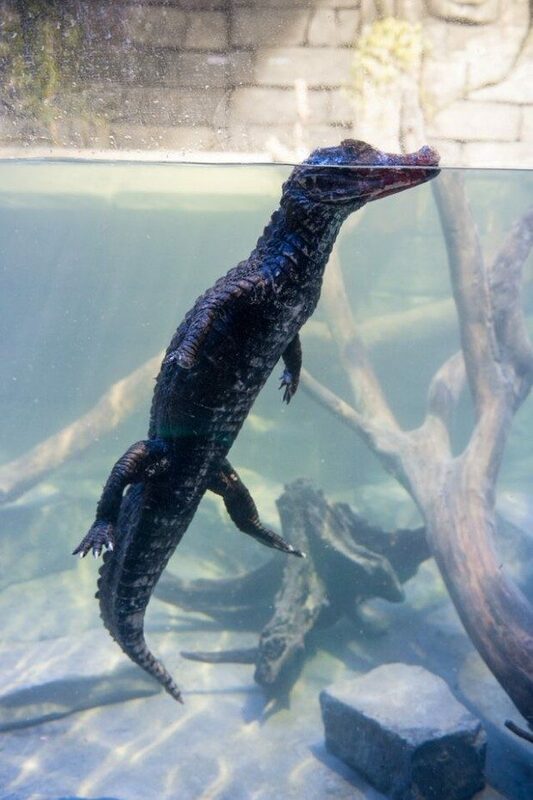 I was excited to see that they had 2 Cuvier’s Dwarf Caimans (a small crocodilian from northern and central South America in the alligator family) too! 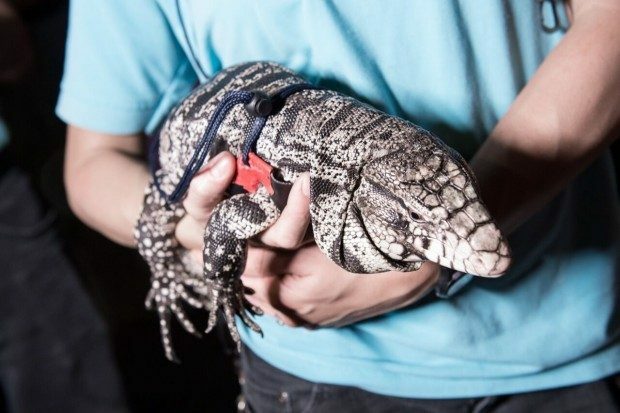 I grew up around alligators and think they’re totally awesome – I know weird for a girl, huh? I just like all those things. Spiders and Roaches – not so much! lol Really the scariest thing to me is a roach – the only thing that scares me about a spider is knowing whether it is poisonous or not. 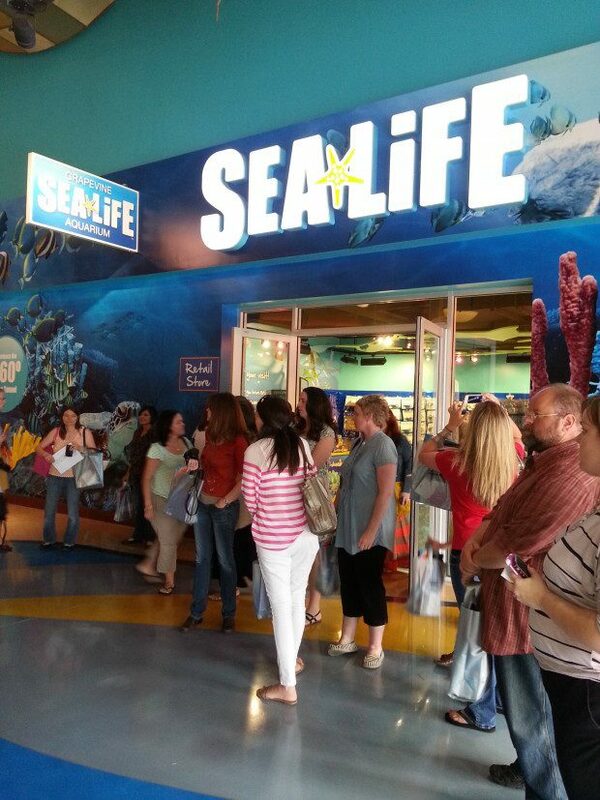 If you’re looking for a fun and educational day for your family – I would definitely say to check out SEA LIFE. I especially like the fact that it’s not weather dependent, too, you can plan a trip to the zoo, but, if it’s 104 degrees or raining, your plans can change. 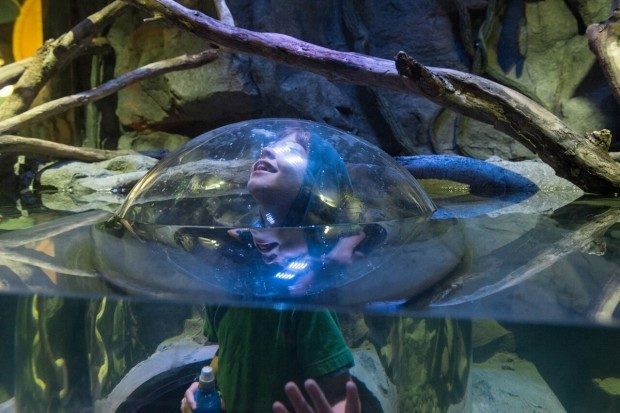 With SEA LIFE Grapevine Aquarium weather can’t spoil your fun! Save up to $12 when you combine a SEA LIFE visit with a visit to LEGOLAND Discovery Center Dallas/Fort Worth. Coupons cannot be combined with online ticket sales or combo tickets. *All adults must be accompanied by a child when visiting LEGOLAND Discovery Center. What are the prices? Adults & children. Are there coupons available? I have added that info to the post!